or informed about the process. Prof. Anya Reading of the University of Tasmania presents group findings at AuScope’s 2018 Strategy Workshop in Adelaide. Image: ©Auscope 2018. In response to the Australian Government’s 2018 announcement of ongoing commitment to NCRIS and the 2018 Decadal Plan for Australian Geoscience, AuScope is developing a research infrastructure investment plan for geoscience. This plan will outline AuScope investment opportunities for the next 5 years and underpin our strategy for the coming decade. In 2018 we conducted an independent review of our programs and engaged the national geoscience community in a strategy workshop. In 2019 we will establish working groups to help build the plan, and deliver the plan late in the year. The review panel comprised Prof Neil Williams (Chair), Prof Anya Reading, Prof Peter Betts and Prof Matt King. We will make the review available in early 2019. Following a week of ‘big ideas’ at the AGCC 2018 in Adelaide in October, we gathered with 100 geoscientists from across the country over two days to discuss how we can work together, and what tools, data and analytics that we need to tackle national geoscience challenges of the coming decade. 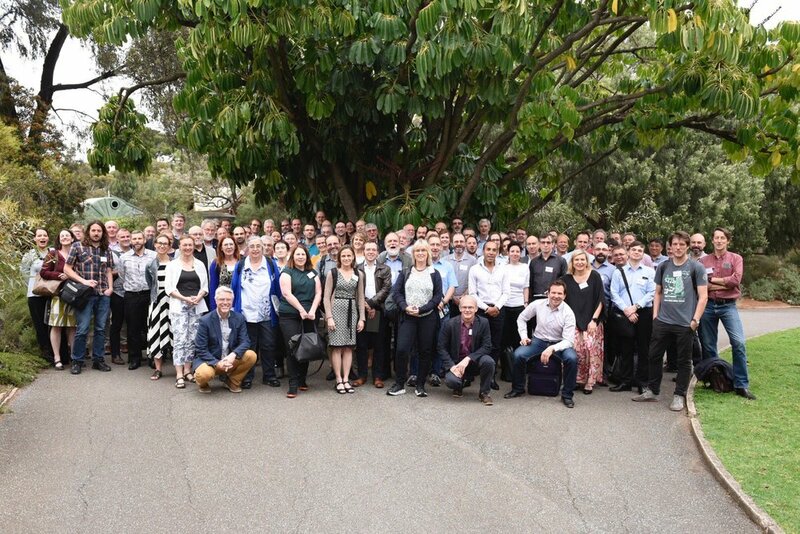 Here’s the team of researchers from Australia’s Earth and Environmental Science communities pausing in Adelaide’s Botanical Gardens between think tank sessions at AuScope’s Strategy Workshop in October. Image: © AuScope 2018. With the Australian Academy of Science’s recent 2018 Decadal Plan for Geoscience in mind, researchers from geoscience, environmental, climate, atmospheric and data science communities started the workshop by ‘thinking big’ about national challenges like natural resources security and sustainability, geohazards and working with and preserving big research data. If you would like to participate in, or hear about the investment plan when it becomes available, please sign up here. Dr. Andrea Codd from the University of Queensland pitches an idea for digital infrastructure investment. Image: ©Auscope 2019. 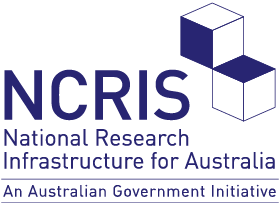 Recap the national geoscience challenges, the NCRIS funding opportunity and key 2018 Strategy Workshop themes: ‘4D Australia’, ‘observations’, and ‘data assimilation’. Identify gaps in national research infrastructure and prioritise needs. Build and test rationale for identified priority needs. Establish working groups that will formalise submissions to AuScope between May — June. We now (April) work to consolidate findings in these workshops, and start the working group process for Stage 4. Key representatives from Stage 3 will then develop proposals around field, laboratory and digital infrastructure. AuScope will support the community in refining these proposals, and drawing them into a draft investment plan format by June 2019. AuScope will then develop the final, costed business plan before mid 2019.